The Great White Sharks are a sisterhood, there for each other through first loves, new jobs, bad breakups, and everything in between. But they are also elite athletes, idolized by thousands and members of the best all-star cheerleading team in the world. 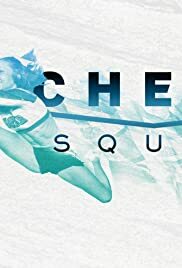 Cheer Squad follows the two-time World Cheerleading Champions on the long road to defending their title as they try to balance life off the mat with the all-consuming battle to stay on top.